Chikungunya (chik-un-GUN-yuh) is a sickness caused by the chikungunya virus (CHIKV) and is spread through mosquito bites. It is likely to have originated in Central/East Africa where the virus has been found to circulate in a sylvatic cycle between mosquitoes and non-human primates. In those areas, sporadic outbreaks in humans did occur, but not on the scale found in the urban centers of Africa and Asia where the virus can circulate between native human hosts and mosquitoes similar to that of dengue virus. The term chikungunya is derived from the Makonde root verb kungunyala, meaning to ‘dry up’ or become ‘contorted.’ Since its discovery in Africa in 1952, chikungunya virus outbreaks were only limited to Asia and Africa, but from 2007 onward they were reported from Italy, France, Croatia and the islands of the Caribbean. Nearly 1.4 million cases were reported in the Caribbean islands, in Latin America and in the United States as of April 2015. Since 2007, diagnosis and data assimilation for chikungunya in India have been facilitated by the National Vector Borne Disease Control Program (NVBDCP). The program has 347 sentinel centers in 35 states/union territories and 14 apex referral laboratories, which are supplied with CHIKV specific IgM detection kits produced by the National Institute of Virology (NIV). Till date, over 12,000 cases are reported across the country with the national capital New Delhi alone accounting for a 1000 of them. NVBDCP reported that till 31st August the state of Karnataka topped with 8,941 cases followed by Maharashtra with 839 cases and Andhra Pradesh with 492 cases forcing a senior health ministry official to say that there is an outbreak situation with regard to chikungunya. Diagnosis is done by measuring the rising level of the concentration of the antibodies in the blood, which indicates the body’s response against active infection using the IgM titres. A more specific blood test prescribed by the physician is the RT-PCR (Reverse Transcription Polymerase Chain Reaction). In the absence of it, a test to find the drop in the leucocytes in the blood because of a viral infection is done. The blood tests are repeated and the blood count is constantly monitored. No vaccine is available for chikungunya till date and therefore the treatment is symptomatic. Doctors will advise NSAIDs (anti-inflammatory drugs) to treat severe joint pains; non-aspirin based drugs, analgesics and antipyretics to combat fever. The patients are advised to drink lots of fluids and rest. Any alternatives to allopathic drugs are not proven hence should only be used in conjunction with them. Since chikungunya is not transmitted from human to human preventive measures are focused on protection from infected mosquito. Using insect repellent containing DEET or picaridin, wearing pants and long sleeve dresses, staying indoors or in screened-in places and keeping away from places with known outbreaks of chikungunya when possible are some of the measures one can adopt as an ounce of prevention is better than a pound of cure. WHO encourages countries to develop and maintain capacities to effectively detect and confirm cases, manage patients and implement social communication strategies to minimize the mosquito vectors. 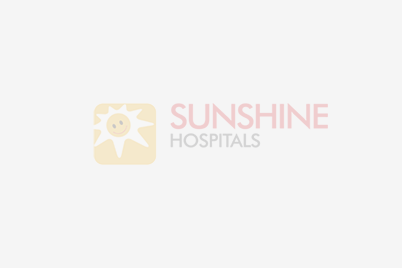 The post Chikungunya, Symptoms Prevention and Treatment appeared first on Welcome to Sunshine Hospital Bhubaneshwar.